NBC News foreign correspondent Ayman Mohyeldin, who's coverage of the conflict in Gaza was both celebrated and scrutinized, is moving to New York and joining MSNBC as a fill-in anchor. Mohyeldin announced the change Thursday on Twitter. "It's official! Happy to announce that I've relocated to New York." 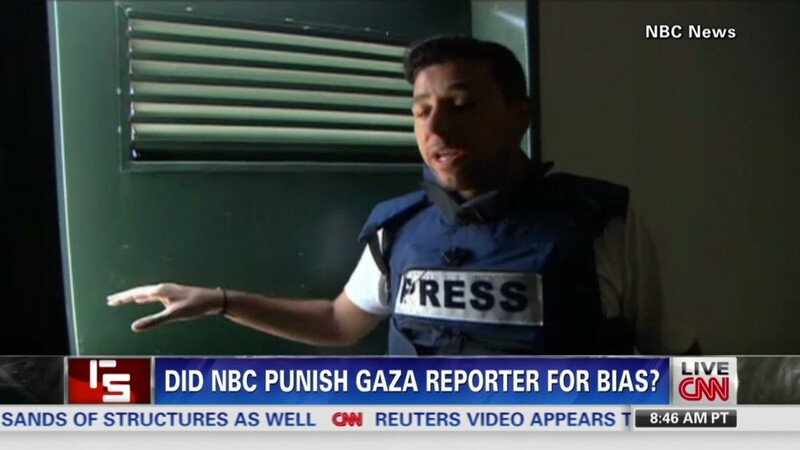 Controversy over Mohyeldin's coverage in Gaza erupted after NBC executives told Mohyeldin to leave the region. The network was accused of censoring the correspondent, and he was reinstated within days. Mohyeldin is one of a small number of prominent Arab American journalists in the United States. Before joining NBC, he was a standout correspondent on Al Jazeera English; Columbia Journalism Review said that "his work covering the 2009 war in Gaza and the Arab Spring revolutions in Tunisia and Egypt made him something of a global celebrity." He joined NBC in 2011 was initially based in Cairo. More recently he has been headquartered in London. "We are pleased to announce that Ayman Mohyeldin is relocating to New York City," NBC said in an internal memo. "Ayman will continue to be a foreign correspondent for NBC News and will take on additional roles as a news correspondent and anchor across MSNBC shows." Mohyeldin won't be assigned to any specific hour on MSNBC. Instead, he'll fill in as needed across the board.